Last November Nintendo ran a brief trial of WiiWare demos, offering free trials to Wii Shop Channel users, but the service ended at the end of January. 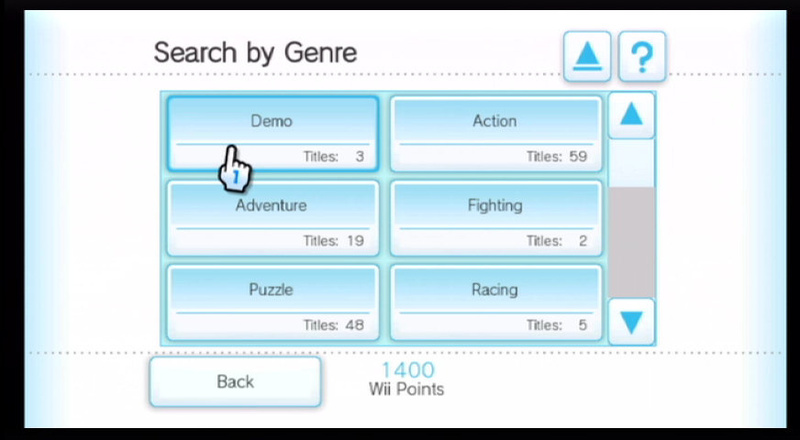 Now Nintendo Life can exclusively reveal that demos will be returning to the Wii Shop Channel in the near future. We've spoken to several WiiWare developers who have confirmed that Nintendo has just started accepting submissions for the programme. No solid start or end dates have yet been given, but we understand the service will start later this month and run until at least Christmas. What games do you hope to see available in demo form? UPDATE Nintendo has confirmed the demo service will start this month with four titles to download. WOO HOO! Awesome. Great News. Magnificent! expensive Wiiware games like Cave Story and Sonic 4. Nice. I guess if they're going to have demos in the 3DS Shop they should have them for the Wii Shop. Thats nice but I want vc demos too. A demo of one of the Mega Man games would be amazing. Or another one of the BIT.TRIP games, the demo for the first was great. I'd love some Art Style demos as well, really wanna try them out but never been brave enough to buy one. I hope there are demos for Super Meat Boy, And Yet It Moves, Tomena Sanner, and BIT.TRIP RUNNER. Mostly because these are pretty much the only WiiWare games that interest me in the slightest. I'm glad that Nintendo will be bringing back the WW demos, last year the demo of World of Goo inspired me to download the full game, and I never once regretted that decision. @3 download the (free) PC version of cave story... THERE'S your demo. I guess you meant "And Yet It Moves"
I'd like a Beat Trip Runner demo. A Swords and Soldiers demo. Bit trip fate demo. I think the Art Style games would benefit from demos, personally. RUNNER and Sonic 4 would be fantastic. The more obscure games deserve it. Which would mean none of the games people have already mentioned. Besides, those sell well enough. Why not give the opportunity to smaller developers who are having a harder time selling their games, because not many give them a chance. But that's just my opinion. Bit Trip Core is what I currently want a demo for since I am up in the air about getting it. Robox is another one. I also agree with CB that the art style games are perfect for the demo service. @Juampi- Lol, yeah I did, gonna change that. "Why not give the opportunity to smaller developers who are having a harder time selling their games." Well, they do have that opportunity, it sounds like. They just need to apply for it...nobody's going to go ring their doorbell for a demo, but it seems like the possibility is certainly there. @Knux You're probably right. Do you know of any good obscure WiiWare games, though? Took ya long enough Nintendo. I mean really, a frakkin' year before we get it back? Ahh jeez. I'd like to see a demo type lay out on the Nintendo Channel for the DS, but for the Wii Shop, that'd look epic. Maybe games that cost 1000-1500, because those can some times be a bit iffy... and maybe games that aren't as well known or look like total shovelware, such as "Last Flight." The developers I've spoken to are all "smaller" teams so hopefully there'll be some variety on there. I'm hoping for a demo of RUNNER. Never got round to it, but I really like the look of it. Bit Trips definitely, not sure what else. Why till at least Christmas? Why not have them all the time? I know I often like to try a game first to see if I like it, i've certainly brought games just because I loved the demo so much. I remember d/l the demos on my family Wii. Does anyone know if they would have stayed on the system or is there a way for Nintendo to put on expiration date on them? Every game should have a demo. It's not that freaking hard. Cave Story, Sonic the Hedgehog 4: Episode 1, BIT.TRIP FATE, Max and the Magic Marker, and Fluidity. I would love a Sonic 4 demo above anything else! @The Fox, yeah your right that would be so AWESOME if they had a demo for every game. Can't think of any at the moment but more than 5 would be a good start. Though last years five should be put back on also for those who missed the relatively short window. Anything 1000 points or more should have one. I deleted my old ones, so I'm dying for some free crap! Now guys remember! As some people have stated, once you download the demos they're yours permanently. I still have my My life as a Darklord and Nyxquest demos, so if you want to keep the demos even after they get taken down, don't delete them! Rage of the Gladiator needs a demo, so does Swords and Soldiers and Lost Winds 1 and 2. Cave Story and Sonic 4. I've been on the fence with those two. I agree with The Fox. I think they should just have a demo for every game, or at least the top 20 games (sales wise). I would certainly buy more games if I knew if I would like one or not. All of the Bit.trip games, And Yet It Moves, the Art Style games, and the two Lostwinds games. Cave story, sonic 4, And Yet it Moves, and Castlevania the adventure rebirth are some demos i would like to see. I still don't like this "for a limited time approach", though I see from a certain perspective it makes since. If they do that though then they should do more to let people know the games exist in the first place. I'm guessing that if the popularity of the demos is strong enough, Nintendo will continue using them. After all, they are bringing them back soon anyway. Hopefully this won't be another one-time stand. I wanna see demos last forever. Smart move, it was the BIT.TRIP Beat demo that made me decide to buy said game. I agree with the people that said Cave Story I would like to see what the hype is about. Let's see some more Bit.Trip demos, heck yeah. I think a lot more people would buy their games if they could just get a feel for which one(s) they'll like. All new games, all the demos from before, and anyone else who wants to make a demo should be able to have them. And no more of this "temporary" crap. How hard is it to just keep them there? I'm grateful for whatever we can get, but I am disappointed that it looks they will only be there for a limited time. Quite frankly, developers should have control over whether or not they wish to offer demos, and those demos should be there as long as the developers want them there. After the new gameplay vid, even if last flight does turn out to be a good game (which I hope it does) some peole may still be unsure so I think last flight would benefit froma demo. As CB said, the art style games would too. Great to hear. This has been an underutilized tool. I think this could really be beneficial to the online service. just all of them. Make them 5 min demos for some short games if they have to. The only thing I find in all of this is "Why does this have to be a special occurance." Not sure why this wouldn't just become a permanent feature--especially considering the sales spike the Shop Channel saw after utilizing demos last year--but I'd personally like to see some Art Style and Bit.Trip demos. I've never played them because I've never really been sure about what they are. and most of all, retro city rampage and last fligth!!!!! Its a little sad that so many people are getting this excited over a feature that really should have been here since the start, or atleast since last year. Yay. As many demoes as possible. I'd like demos of games I'm interested in, but don't actually own. They need to just do what they did in Brawl and add a timer to all the games. Mostly, you can tell if you'll like a game after 5 minuites (unless there is a lot of story/dialogue/cutscenes). I want demos of the BIT.TRIP games, Art Style games, Jett Rocket, And Yet It Moves, Super Meat Boy, Final Fantasy IV: The After Years, ExciteBike World Rally, Contra ReBirth, Gradius ReBirth, La Mulana, and Bonk: Brink of Extinction. Im gonna play every demo! Allow the developers to offer demos if they want. Only offering demos for a select few games, and then not for others is stupid. You, Me and the Cubes and Plättchen. And I would definitely like to see chick chick BOOM. I would like to check out the Bit. Trip games and Pokemon Rumble. Is it possible to keep the Demo version on the Wii after the Demo versions have disappeared off the Wii Shop Channel? Pfft, this is pathetic. They throw demos out for the holiday season when it's blatantly clear that they should be year round. I mean they should've gotten it in their thick skulls to keep demoes when all the demos last time shot up to the top spots and the developers confirmed sales increased. But nope, that would mean Nintendo would have to point out that it's it's online service is a mess and is need of a fix, not their typical "we're always improving so next gen it'll be much better" BS they always spout. I love a handful of games on WiiWare, but WiiWare itself is a complete write-off and should go the way of WiiSpeak and the Dodo. Pretty sure I suggested they should do this in an article posted a couple days ago. I'm glad to see this happen. I'd like to see Jett Rocket. They should keep the demos permanent, then have them expire like 2 weeks after they've been downloaded. Excellent news! Let's hope they also add VC demos. This comes way too late. WiiWare can never compete to the superior download services XBLA or PSN anyway. Nintendo should just focus on Virtual Console again. The back catalogue is by far the biggest advantage Nintendo has to offer for their download marketplace. I've not had confirmation that these are temporary, the article just says they will run at least until Christmas - they could last longer, maybe even forever, but I've only had confirmation that they'll be around at Christmas time. Still working on getting more information! Official Nintendo Magazine UK says you'll be able to download demos for Furry Legends, Jett Rocket, ThruSpace and Zombie: Panic In Wonderland. Demos launch this week with four titles! haha, nearly! Our post went up at 10:50 - your comment was 10:55. Nintendo issued a press release this morning but you so nearly scooped us. Keep on trying! When are they coming to the Americas!? We don't know just yet?! But when we know we'll let you know?! We promise?! 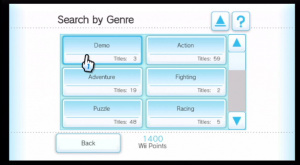 If all the wiiware games had demos, wouldn't that solve the weak marketing complaint from developers? hopefully demos will be counted separately from paid games unlike how it was before. Well, I hate demos, but yay for other people! Also, the PS360 fanboys now have one less thing to hate the Wii about. Well, how about demos for ALL games? @LuWiiGi: How can someone hate demos? And why should Xbox360-/PS3-fanboys care about WiiWare demos? Anyhow I guess you don't care about demos being available on XBLA / PSN? That's cool - I still have the demos from last time and play them from time to time. Yet to actually buy the games, though - I'm more a VC gamer to be honest. Now thats really cool... as long as it's for every game because there are some games that i have been keeping an eye on. All of them. Any other answer is wrong. What Crunc said. I've bought some duds and there are probably some games on WiiWare that I'd find myself really liking if I had the chance to test them out.